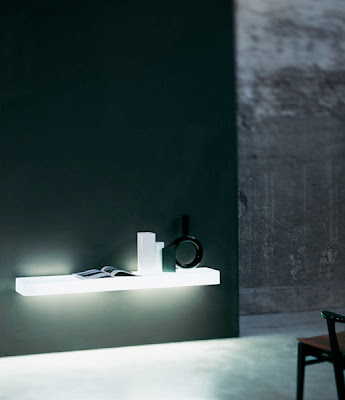 The future of lighting has arrived. 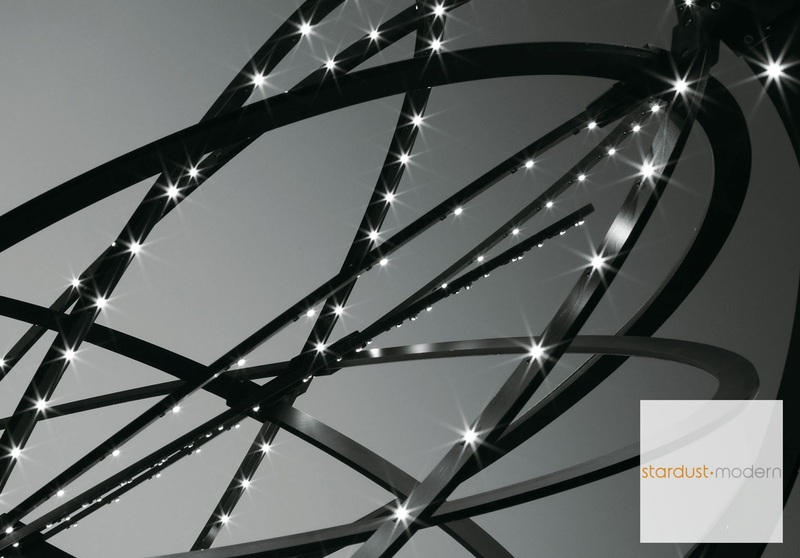 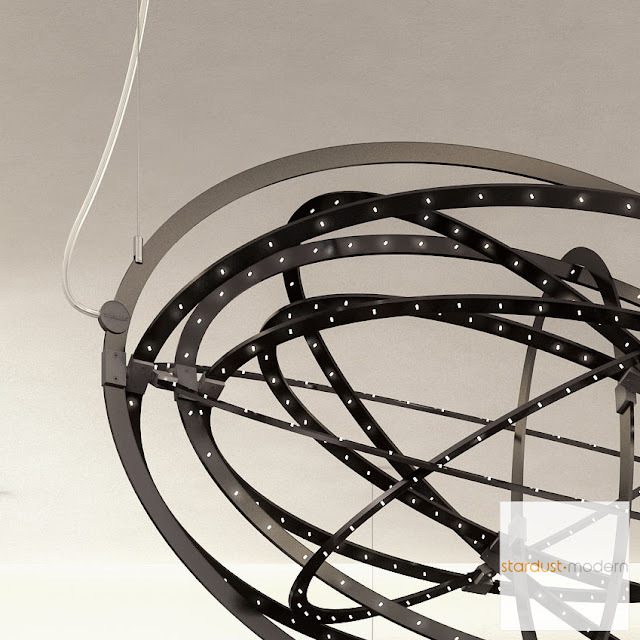 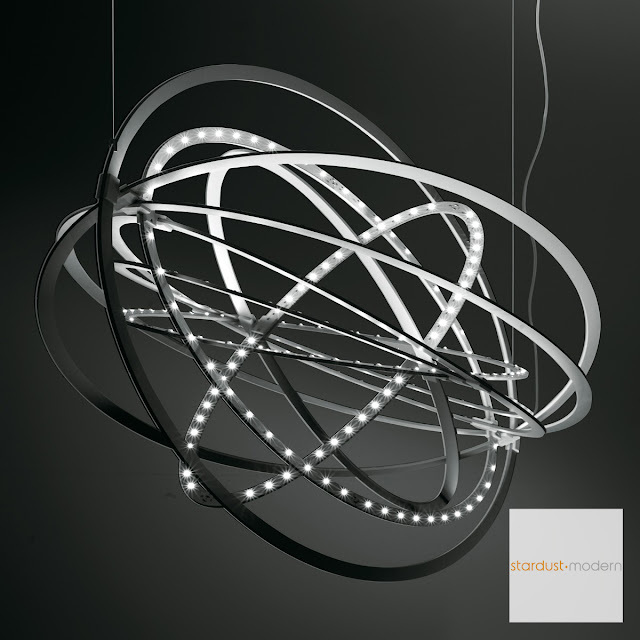 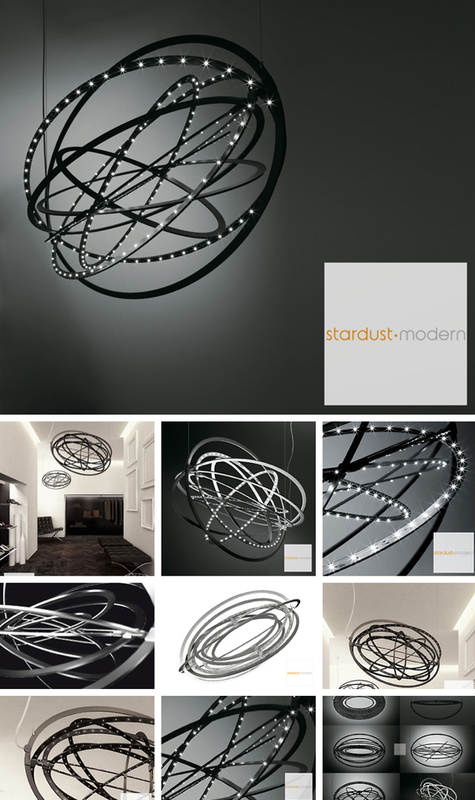 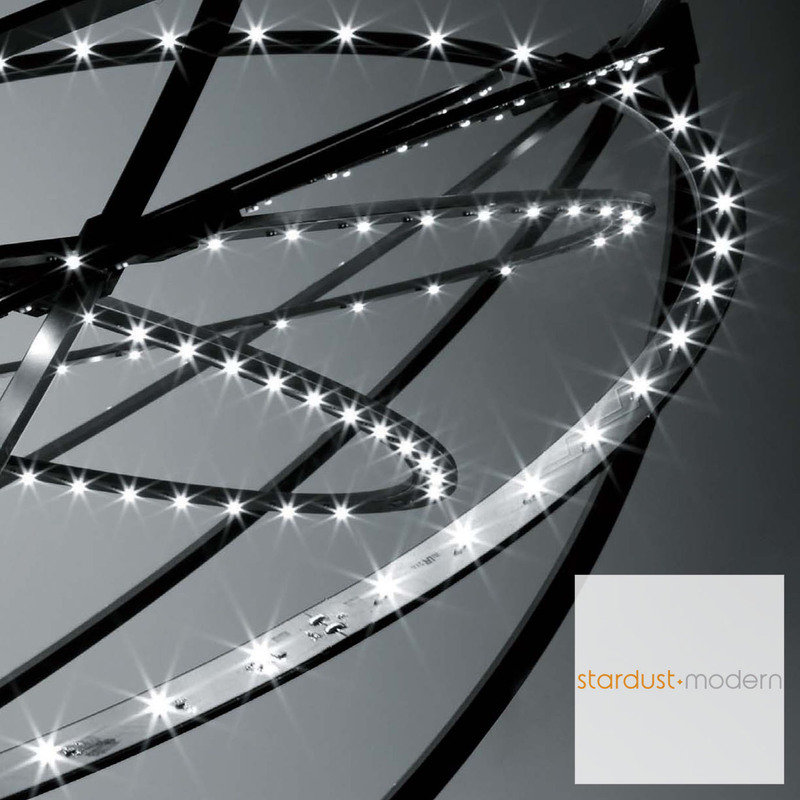 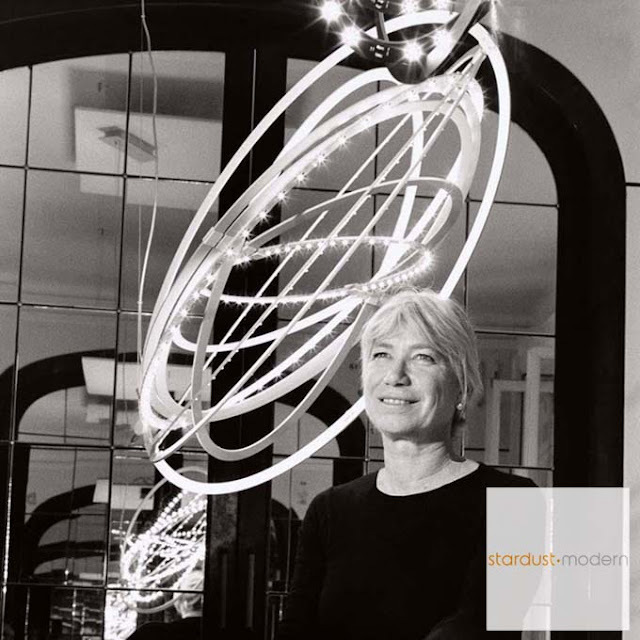 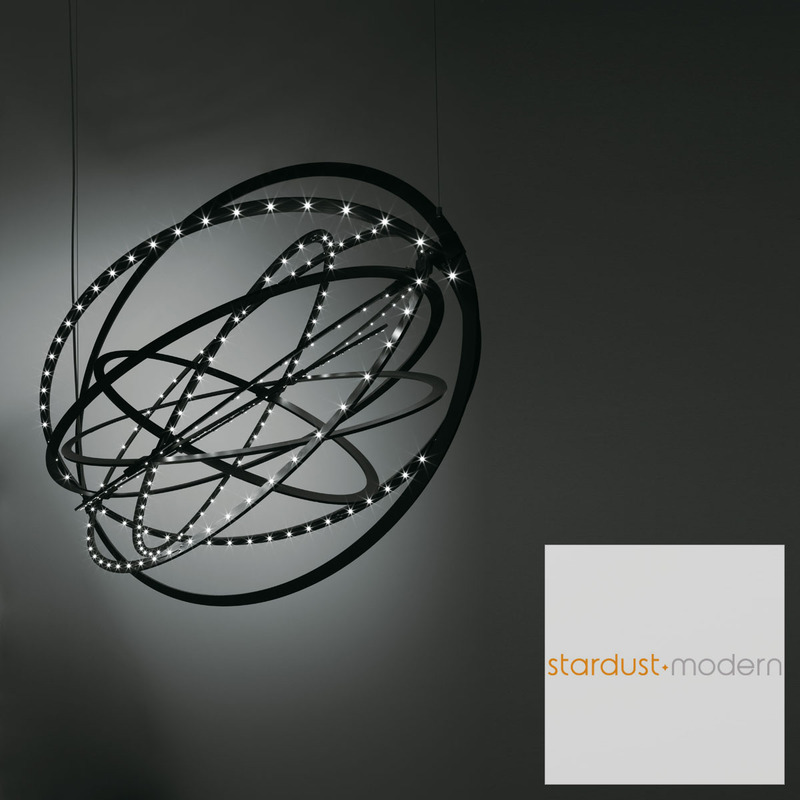 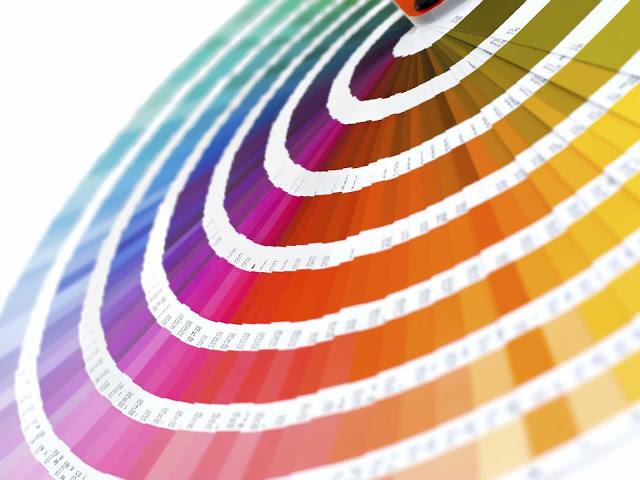 Artemide Copernico, a breathtakingly beautiful pendant light fixture now available from Stardust! 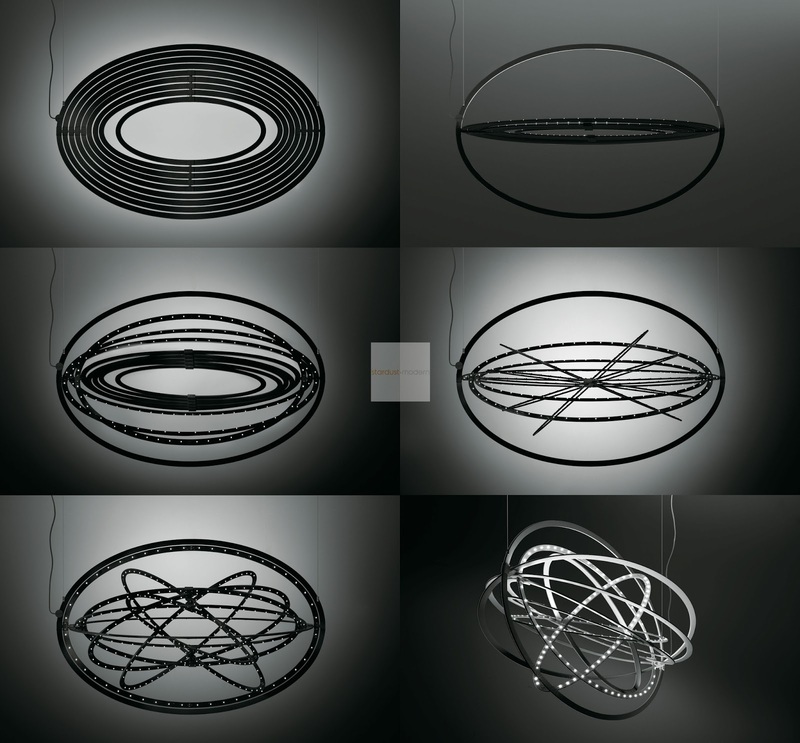 The futuristic ‘Copernico′ suspension lamp was designed by Carlotta de Bevilacqua and Paolo Dell’Elce and created especially for Artemide. 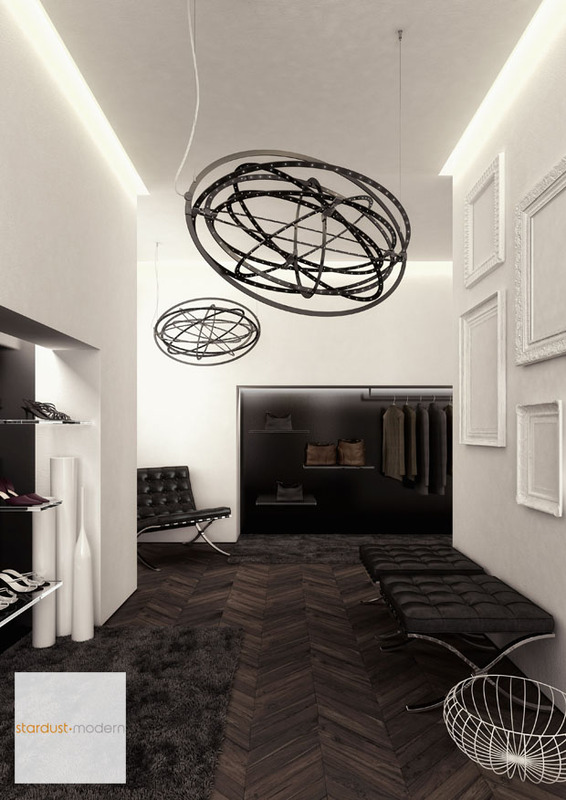 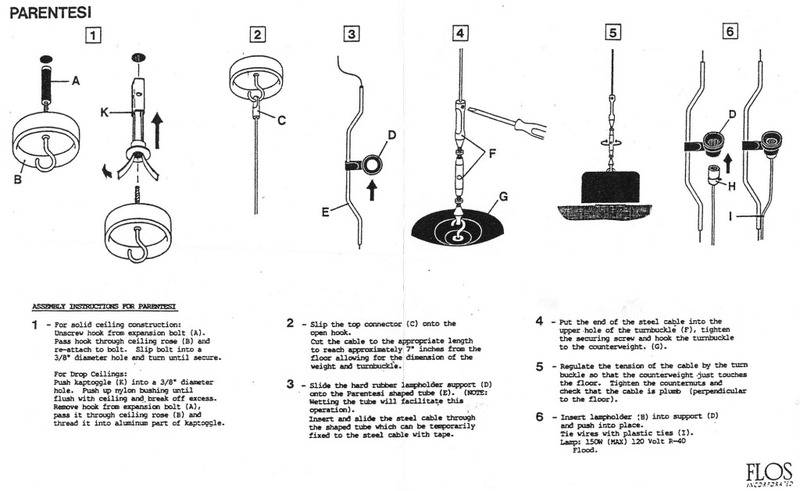 This suspension lamp’s green footprint was carefully considered throughout the design process. 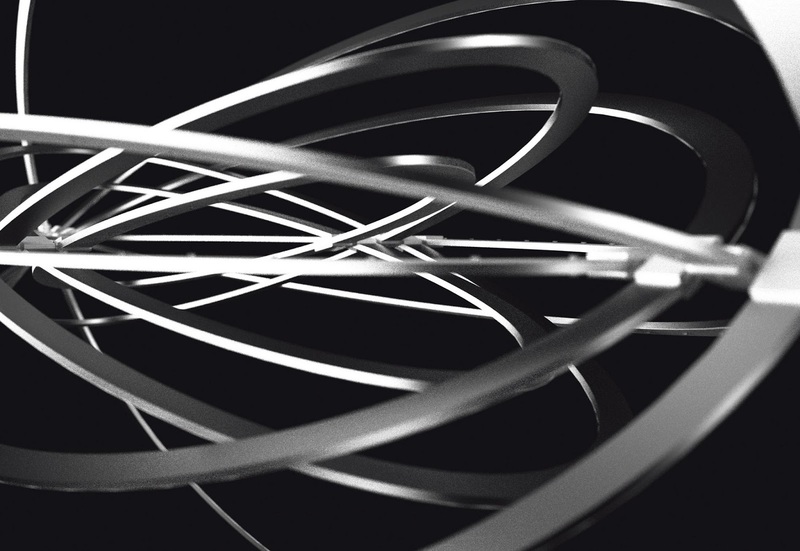 The nine concentric mobile ellipses of the Artemide Copernico Lamp were created from one single piece of aluminum. 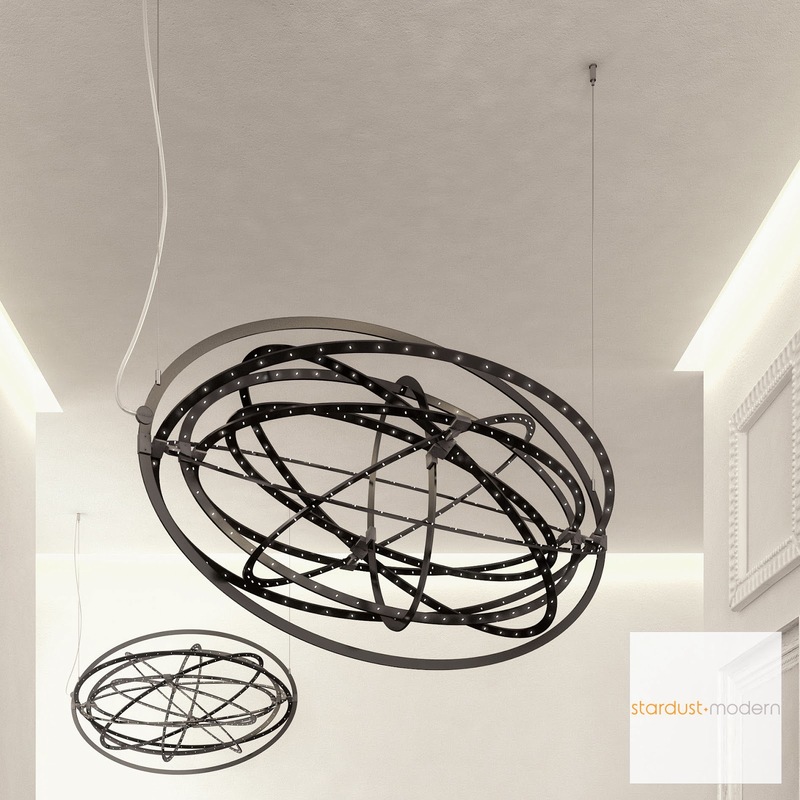 The nine shapes are capable of rotating independently on two different axes, allowing for the light emission of the 384 white LEDs to be placed randomly. 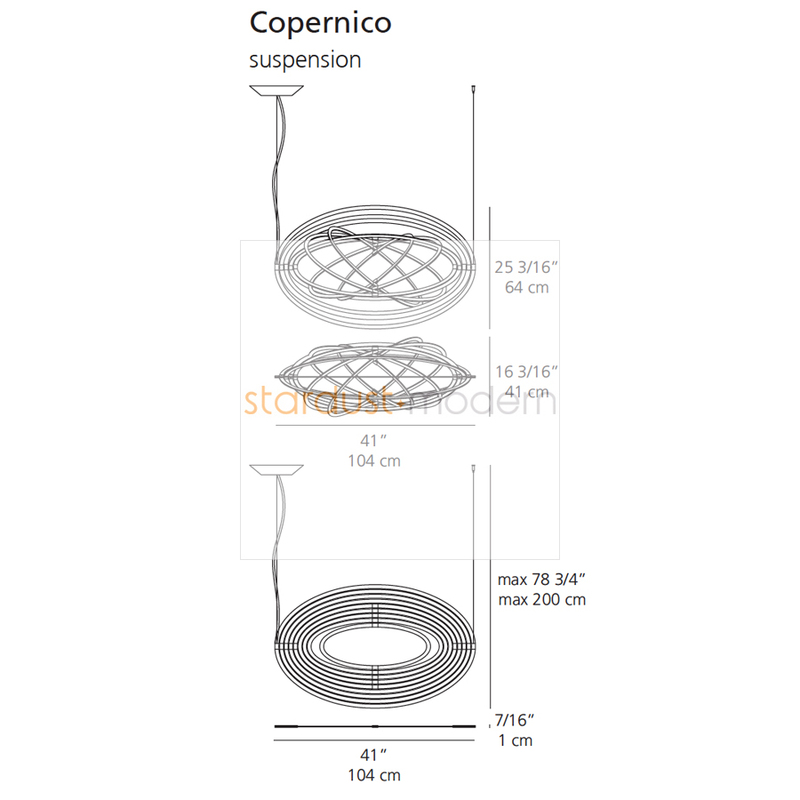 Copernico Suspension light with nine concentric mobile ellipses obtained from a single aluminium plate support a circuit of 384 white 38W LEDs. The ellipses rotate independently on two different axis enabling the light to be directed and numerous spatial configurations to be obtained at the same time. 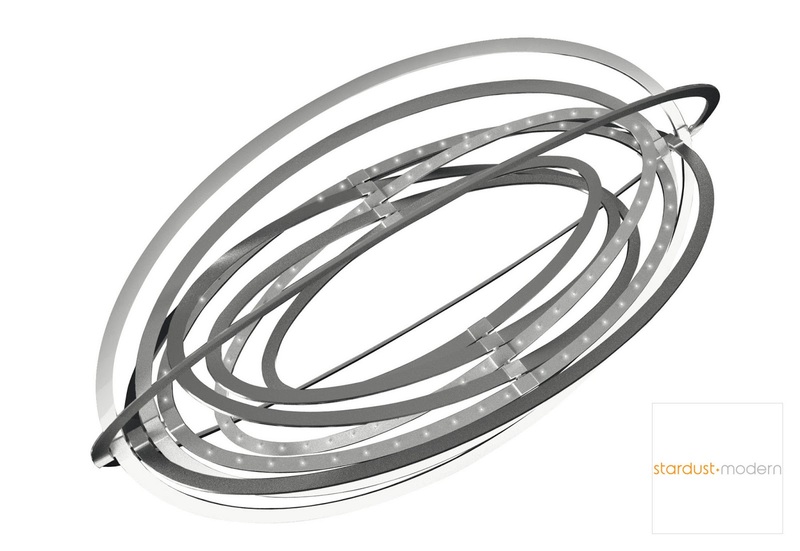 When the device is closed it is completely flat.